A 1970 periodic table by Prof. Wm. 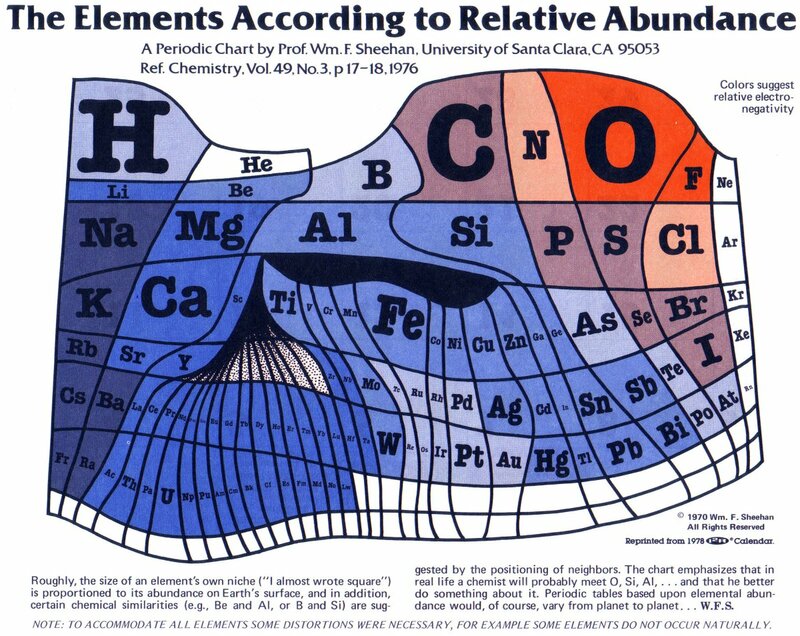 F. Sheehan of the University of Santa Clara that claims to show the elements according to relative abundance at the Earth’s surface. Dmitri Mendeleev published a first version of the periodic table in 1869. The table was developed to illustrate periodic trends in the properties of the then-known elements, which are presented in order of increasing atomic number. This allowed Mendeleev to predict some properties of elements that were unknown at the time. Mendeleev’s periodic table has since been expanded and refined with the discovery or synthesis of further new elements.